Q&A with Jared Emerson-Johnson, Friday! 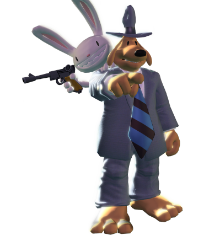 My favorite Sam and Max song is Just You And Me (And Ted E. Bear), it cracks me up every time I listen to it. When working on songs like this do you go at it alone or do you work with the Sam and Max creative team? How did this song come about? Generally I'll get a set of lyrics from the writers, and then I just jump right in and write it (sometimes making a few word adjustments here and there, but usually just setting the texts they get me). Any songs / sounds / music that you liked that didn't make it into the actual games? Occasionally I'll write something, or start something, and it just doesn't quite go in the direction I was intending, so I'll usually set it aside. More often than not I'll end up finding a spot for it later in the season, though, and so I'll end up using it somewhere (in a cutscene, etc). Right now I think I have two sketches that are currently orphans, but I'm sure they'll find a home before too long. An example of this: the track that ended up working out so well for the sewers in 205 was originally begun for an earlier episode...I'll let you all speculate as to which. When you have to write background music for a certain place, how much do the devs tell you about the place? Do they show you something like a description or concept art? I try to get as much information as possible. 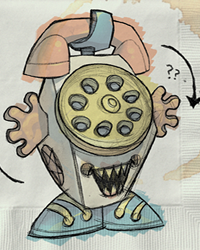 Generally, there is some detailed description from the designers, and usually some sort of half-done environment to look at, so I usually have a pretty solid idea of how it should feel. But basically how do you go about writing a theme ? Do you start with the actual melody, or with some cliché lines to fit the mood needed, or just play around until you find something that clicks ? Any insight on your overall musical life ? Also, what is/are your favourite instrument(s) to noodle with ? Have you ever considered writing a "max" hard rock song (i mean, a song max would write, complete with hyperkinetic lyrics and rabitty guitar solos - or vice versa) ? A lot of different composers work in different ways, and for me it sort of depends on the style and purpose of the cue in question. More often than not, though, I actually start with the harmonic progressions, since I feel like that has a bigger influence on the overall emotional/tonal feel of a piece of music. That's really just my own personal process preference, though. My most comfortable instrument is the violin, but I also spend a lot of time with the guitar and piano. I probably do most of my composition "working it out" on the piano, just because it's the easiest instrument for me to play multiple voices. Heh, so far I have not made any plans for a Max hard rock song, but hey...you never know what's coming down the road. Did you play an(y) instrument(s) when you were a kid? Also, did you always want to be a composer? I'm sort of interested in composing. I like to make up songs on the piano and whatnot. What do you think I should do? Some of these were answered earlier, but I'll repeat them here. Yup, I played the violin for years and years. I also played a little clarinet in grade school, but only for a couple years. I picked up the piano and guitar in high school, and I studied voice at that time, as well. I actually didn't always have my heart set on composition. In fact, I came to it rather late in my musical studies. I always had an interest in it, but it wasn't until college, after taking a pretty heavy load of theory courses, that I started writing. It only took a couple months for it to become my primary interest, though, and it's been that way ever since. My main advice would be: go for it! Have as much fun, and try as many things as you can. I do think some kind of background in tonal theory at some point is a pretty critical step if you're interested in genre composition, but more important than anything is just doing the work, and doing it regularly. The more you write, the easier it'll be, and the more fun. What kind of program(s) do you use to edit and compile the music, voices, and sound effects (or even compose)? How long does it usually take to get all the sound work done for a single episode? Some of this was answered earlier in some of the previous posts, but I use Digital Performer, Pro Tools, Bias Peak, Sibelius, and occasionally Cubase. Again, it depends on the schedule for a given episode (and the side of the audio order), but the music generally takes 4-6 weeks per episode. Sound is about the same, with a big push at the end. Voice generally is recorded in 1-2 weeks, with a set of pickups for another half week or so. It all depends on the amount of content, and the crunch of the schedule, though. Actually I only have one question wich is this. When writing your music for any game what inspires you the most? Also what are the steps to writing masterpieces? Hahah...I have yet to work out the steps to writing masterpieces, but if any of you have any leads, please pass them along! I think the most inspiring part of the process is talking with the designers and getting their visions of the story into my head. 1) Who are your three favourite jazz musicians and why? 2) Do you prefer traditional or modern jazz? 3) Are all the solos in your jazz pieces set or do you allow improvisation? In the question of trad. vs. modern jazz, it really depends on the mood I'm in. I think both have a ton to offer. I probably listen to them about equally, though. The solos are entirely improvised by the players. I wouldn't have it any other way, they're the masters of their instruments, and nothing I could write would have the same flow as we get from just firing up a mic and letting them go wild. I want to know if the Season 3 will have more long Jazz songs. Also, I really liked the Consecutive Office song, and I was wondering why you decided to make that specific song an 8 minute long jazz ensemble? That one worked out that way because there were 2 versions of the tune, one for when max is president, and one for before—plus, there were versions of the forms that had solos, and versions that didn't. So it's really a 2 minute form, repeated 4 times, in all of those different incarnations...if that makes sense. It's safe to say there will be other tracks along those lines for the season 3 soundtrack! I loved your work on TMI, Jared. You're also great at being a crazed arcade machine. Anyway, I'm thinking about a career in computer music. I'm pretty handy with Abelton Live, and I wanted to know if you had any advice for me? I don't actually have much experience with Abelton, but my general advise for aspiring composers of any kind is to stick to it, and to keep writing, as much and as often as possible. Are we ever going to get a Useful to Boot instrumental track? I'm kidding. Have you ever thought about rearranging the original Sam & Max: Hit The Road theme song just for fun and not as something that will play in the game? Jeremy Soule has done something similar at least once, although he posted that "for fun" project on OCRemix.org. That never did occur to me, and I'm afraid there might be some copyright infringement issues with LEC, but to be honest, I rarely have time for anything "extracurricular" these days, and when I do, I usually take to the mountains and go backpacking! 1) To an outsider, music composition seems to be a very creative endeavour. What happens when/if you don't feel particularly creative or inspired - is it still possible to sit down and churn out the music? Is scoring as natural and procedural to you as, say, programming is to a programmer? 2) Until you voiced the Marquis de Singe in Tales of Monkey Island, we didn't realise you were freakishly good at anything other than music. What further hidden talents lurk in Jared's unplumbed depths? 3) The lives of successful musicians are often fraught with the temptation and vice that come with the trappings of fame. You, however, seem like a very down-to-earth young man. How do you manage to "keep it real"? Or have you simply been lucky enough to escape the glare of tabloid journalism thus far? That is a really good question, and it's one that a lot of my friends ask me. There are definitely tunes that flow really freely, and some that are like prying a rusted door open. The reality of the work, though, is that it has to get done, and usually very quickly, so I've learned to live with the "blocks", and to work through them as much as possible. I have found that the more I write, the less likely I am to be blocked, or to feel uninspired. I can't speak to the question about programming, since I am decidedly not a programmer, but I do think learning how to carry on through a difficult creative moment is an important skill that needs to be honed by any composer. It sort of comes with the territory. Haha. Um, I like to think I'm a decent cook...I certainly enjoy it. I do a lot of teaching work with junior high and high school age kids, and I like to think I'm reasonably good at that. Haha! My life is not glamorous at all. I honestly think of myself more as a craftsman than anything else—lucky enough to be making a sustainable living doing the things I love best. Anything beyond that would just be noise, to me, I think. Just wanted to ask you what your favorite experiences were working for Telltale. Anything particular you have learned by doing the music for all these games? All of my favorite experiences are moments where I was in collaboration with the rest of the team. All of the recording sessions are high on my list, just because I love working with actors and musicians and building something together with them. I love working with the writers and designers, to help bring a story to life. I guess the main thing I've learned through all of my work for Telltale over the years is how to turn around huge amounts of music in a very short time. Jared, I was just wondering if you have played any of the games you were involved with making? Do you play video games at all for that matter? If so which ones? I'm nearly there with the Bone games, I think. I'll have to give them a go at some point soon. I don't play a ton of games, but I play more than I ever used to. Honestly, the games I play most often are the classic 8 and 16 bit nes and snes games. I have been known to very occasionally spend entire weekends playing GTA: Vice City and Katamari Damacy, though. Hey Jared, love your work (music, voice acting, everything)! In fact I'm listening to the Bone soundtracks as I type!! Here's something I'm always curious about with musicians. What is your favourite genre of music to listen to? And what is your favourite genre to compose? A lot of your music reminds me of certain classic adventure games. Are there any adventure classics that you are particularly inspired by? Your voice acting as DeSinge was awesome! 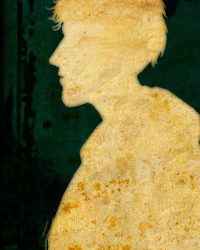 Will you be voicing anyone in The Devil's Playhouse? And of course, what is your all-time favourite Beatles song? More "favorites" questions! They're so hard! I listen to a lot of classical, rock, and jazz. Those are probably what I listen to the most. The darker stuff is always more fun to write. The scores to Monkey Island 2 and 3, and Grim Fandango were the main reason I first became interested in game audio, so it's safe to say those scores had an influence. I love all of those classic LEC adventure games, and since I started my career working beside Clint Bajakian, I think a lot of my way of looking at game audio is in that school of game scoring. The COPS are back in the Devil's Playhouse, so you'll get more of them. Beyond that, we'll just have to wait and see, I guess! Man, favorite Beatles. It's probably a toss up between the entire second half of Abbey Road and Happiness is a Warm Gun. And for sheer Beatles pop, probably I've Just Seen A Face or Girl...or I'm Looking Though You. I'm lousy picking these "favorites," I tell ya! Ok, I officially want to make a Transmet game now. Okay that was like two minutes of me sitting here thinking about how awesome a game of that would be. You'd be Spider. You'd have your bowel disruptor. Half the screen could be green, the other half red (okay thats a bad idea but still kinda funny) and mini games where you get to punt puppies! PUPPY PUNTING! Okay maybe you do have an idea of how cool that is. Will, Jake, Jared, please! Anybody, this /must/ happen! 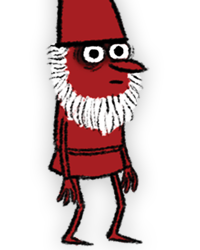 And you have to get Patrick Steward to voice Spider! He wants to. He said he did. Maybe he'll do it cheaply. Out of curiosity, how did you come up with the war song? If that wasn't you, sorry for taking your time. The idea of doing The War Song originally came from Brendan and Dave, if I recall. They said they'd like to have a big musical number about War, and then got me a list of lyrics, which I believe were written by Brendan, but I can't quite remember at this point. I added the big dance break, though, since I wanted it to be sufficiently show-stopping. Well folks, I need to get back to work, but it was nice answering all of these questions for you. Sorry I'm so rotten at picking favorite things—there is just too much that I like. I'll try to check in on this forum at some point down the line, to answer any followup questions any of you may have, but until then, be well! I think the lyrics were actually written by Chuck. Pete and I thank/curse you for adding the giant dance break, but it really made that moment. Well folks, I need to get back to work, but it was nice answering all of these questions for you. Thanks for taking the time to write such comprehensive answers to all the questions! It's cool that you took them all seriously, even the not-serious ones. A really interesting and worthwhile session - very much appreciated! You're totally right, it was Chuck...and I believe "You & Me & Ted E. Bear" was Grossman...I think. It was my pleasure, really! In life, I think the not-serious questions are the most important ones to take seriously. Yes! Thank you for answering my questions. And thank you for trigger such an awesome idea as a Transmet adventure game. I honestly had no questions that weren't asked by the time I got here, and the answers were all amazing. If Jared ends up reading this though, I'd LOVE to thank him for everything he's contributed. Sam and Max continues to be the only game series with a soundtrack that I'd even CONSIDER purchasing, and the songs really do stick with me. The songs have a permanent spot on my hard drive and MP3 player, and I listen to them extremely regularly. The music is a major selling point for me, and I'd honestly have to reconsider playing another Sam and Max game if Jared wasn't doing the score. There's not a single question in this post. So much awesome packed in just one guy. It almost makes me want to cry (in a good way, not a bad one). I guess this question is for the future if you ever pop back in to answer questions. So for season 3, the whole vibe is film noir. So do you find it easy to adapt the music to any sort of style or genre? Like let's say Season 4 had a very 80's New Wave-ish vibe. Do you think you'd be able to adapt to a whole new genre easily? Also, do you prefer the transition to a new style, or do you like sticking with the same kind of style that was in Season 1 and 2? Thanks for taking the time to answer questions for us. Thanks for answering the questions, and looking forward to the "more information on the KOTOR music front" and the COPS return. Question: Your doctor must hate you? Thanks for answering my questions. Good luck with all your future projects! When did you get to know about the iPad release of Season 3? Aw Chesse & Crackers! I missed the question and answering! Have you guys thought about putting some of your crazy musical numbers on Rock Band Network? Jokey songs and nerd-injoke songs seem to do reasonable well there, with Jonathan Coulton and Flight of the Conchords near the top, and a lot of hype surrounding acts like Ron Wasserman (who did the Power Rangers theme song) and Midnight Riders (a fictional band from within the game Left 4 Dead 2). Can't think of a specific song to suggest, but I know people would also get excited about jazz. I feel like some Sam and Max stuff would fit right in. Oh yeah, and our good friend Kid Beyond (Andrew Chaikin, recurring Telltale voice actor) has a catchy song on there, you could ask him about it. Hey Jared, I thought of a couple more questions, if you'll be so kind. 1. So, I was kinda wondering... which comes first when designing a scene for a game? What I mean is, what does Telltale do first? The music for the scene, or the scene itself? Do they design the scene around the composition or... which is easier? 2. Wanna hear my completely unprofessional attempts at music? 3. Can he have a cookie? Wait, he sings?! And Jared hasn't capitalized on this?! I know, right? He sings, he worked at Wavegroup doing the vocals on the cover songs in early Guitar Hero and Rock Band games, and he's the world's greatest live loop beatboxer. So it's a shame he hasn't been asked to use that skill in any of the Telltale games yet. Although to be fair he has been absent for a while (he played Max in s01e01, then had to leave for a while for health reasons), and only started working with Telltale again for Monkey Island, which Jared didn't work on... but now I'm pretty sure both Jared and Kid Beyond are both working on SM3, so hopefully something awesome will come of that.